PBS KIDS today announced the launch of its third app from the popular series DANIEL TIGER’S NEIGHBORHOOD – Daniel Tiger’s Grr-ific Feelings for iPad.Designed for children ages 2-5 and produced by The Fred Rogers Company, the app for iPad is now available on the App Store, just in time for the back-to-school season and the premiere of new DANIEL TIGER’S NEIGHBORHOOD episodes later this month. Daniel Tiger’s Grr-ific Feelings extends the series’ social-emotional curriculum, helping kids identify and express their feelings through four engaging activities. The app is designed to empower kids to identify and express their wide and complex range of emotions. The four socio-emotional activities in the app offer kids a variety of interactive ways to accomplish this. Ding! Ding! Play Daniel’s Trolley Game! – In Daniel’s Trolley Game, children will have fun driving the trolley and playing more than a dozen mini-games about feelings featuring Daniel and his friends. Children will learn to practice calming down, just as Daniel does, feel proud as they help Daniel, count to four with Daniel when he feels so mad that he wants to roar and more. Sing-Along With Daniel! – In Daniel’s Sing-Along, children can choose from 18 of their favorite DANIEL TIGER’S NEIGHBORHOOD songs, each of which is fully animated and expresses a different feeling. This activity is a great resource for children and parents alike. Express Yourself! – Daniel’s Drawing Easel has everything kids need to express themselves, including paints, crayons, stickers and more. Children and parents can save pictures to the gallery or share them with friends and family. Strike a Pose to Show How You Feel! – In the Feelings Photo Booth, children can take pictures of themselves making their sad, mad or happy faces and see how Daniel looks when he feels that way, too. 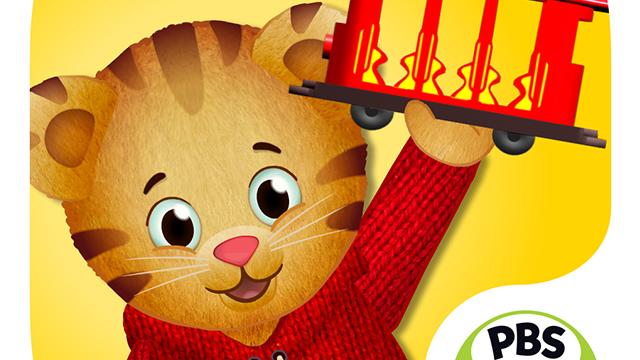 Daniel Tiger’s Grr-ific Feelings joins PBS KIDS’ collection of popular DANIEL TIGER’S NEIGHBORHOOD apps, including Daniel Tiger’s Day & Night and Play at Home With Daniel. More information on PBS KIDS apps is available at pbskids.org/apps. DANIEL TIGER’S NEIGHBORHOOD airs weekdays on PBS KIDS (check local listings). 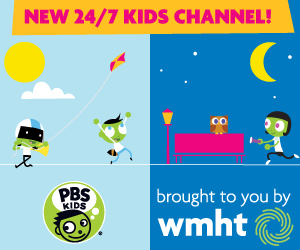 In addition to the new app, the series offers families new content on-air and online this month. Season 2 of DANIEL TIGER’S NEIGHBORHOOD kicks off on Monday, August 18, with a special one-hour premiere celebrating the arrival of a new addition to the Tiger Family: Daniel Tiger’s little sister Margaret. Additional new episodes air throughout the week. New games are also now available at pbskids.org/daniel, including “Bathtime Helper,” in which kids help give Margaret a bath, and “Sandcastle,” in which kids build sandcastles on the beach with Daniel. Daniel Tiger’s Grr-ific Feelings is available for $2.99 from the App Store on iPad or at www.AppStore.com/PBSKIDS.